It’s a series of geographical shapes created by beams in a square, rectangle or even triangle patterns. Some are bare wood beams while other types include crown molding surrounding the beams. They add depth and texture to the ceiling. Which rooms work well with coffered ceilings? Any room can look great with a coffered ceiling including kitchen, living room, dining room, and bedrooms. They’re not cheap, but if you don’t have a vaulted ceiling but want your ceiling to stand out, coffered will do the job. 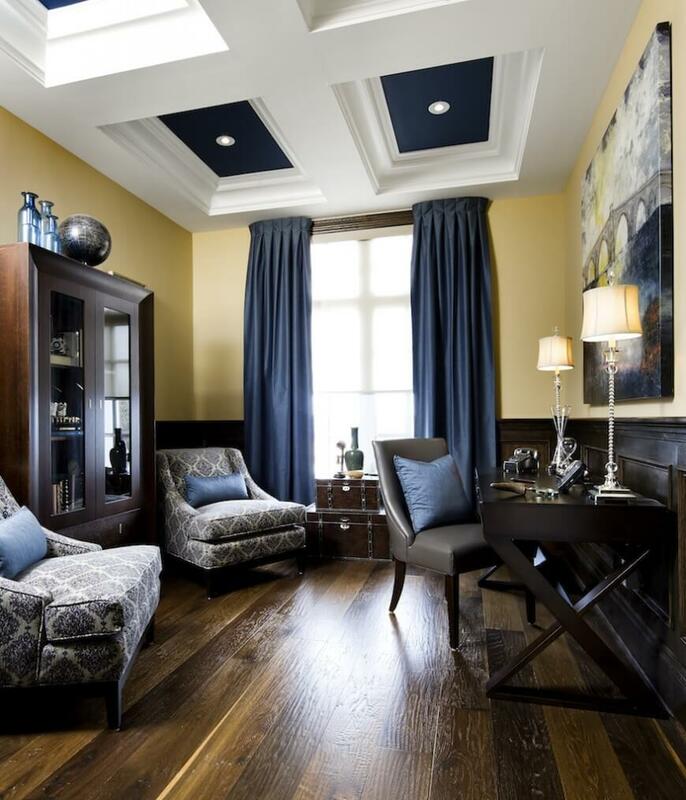 For flat ceilings, coffered is a way to really make them stand out. I love the coffered ceiling look, although it’s not all that common. 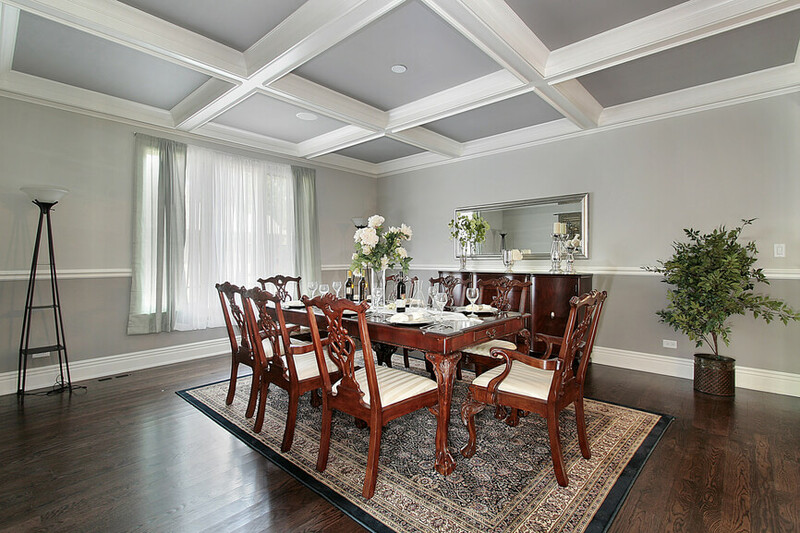 Below is our photo gallery featuring many coffered ceilings. See all ceiling photos here. Check out our types of ceiling designs here. Designed by Garrison Hullinger Interior Design.